This year, under the direction of club adviser Monica Marlowe, the Sachem High School North Envirothon club volunteered at the Walter S. Commerdinger Jr. County Park in Lake Ronkonkoma. As part of the Great Brookhaven Cleanup, students helped remove garbage, environmental debris and invasive species from the park grounds. The experience served as an introduction to a local open space and was an excellent opportunity to volunteer within the Sachem community. 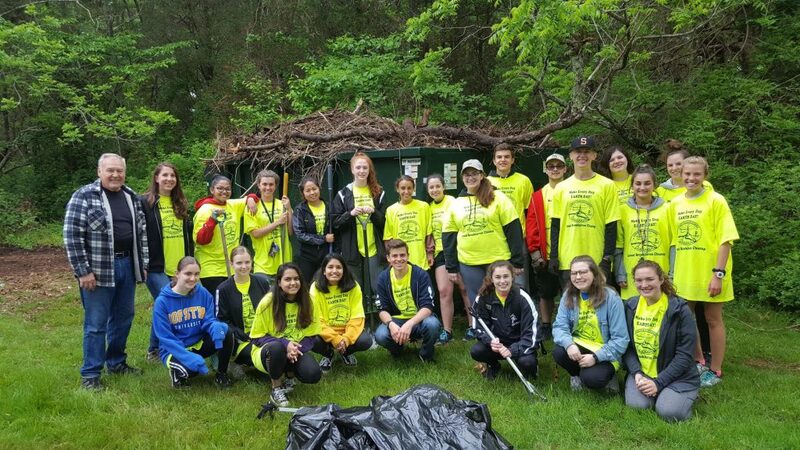 Photo Caption: Cleanup.JPG: The Sachem High School North Envirothon club helped to remove garbage, environmental debris and invasive species from park grounds.